Thanks for the…, ah, let me think, oh, yeah, Memories! Like a ten-ton truck, a realized misconception hit me right upside my head tonight. Back story: I love anything medieval. I’m sure that I had several, or at least a few, past lives during that time in history. A historical novel set in the 14th century? I’m there! Tales of fair maidens and brave knights and lords and castles and rustic villages, now we’re talking! I recently read Ken Follett’s ‘The Pillars of the Earth’. What a fantastic book. 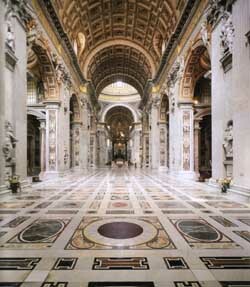 When I visited St. Peter’s Basilica in 2000, I was thrilled out of my ever-loving mind to stand on the very spot where Charlemagne was crowned. Last month in Washington I was also thrilled and excited to visit the National Archives and view the Magna Carta. That’s when faint wisps of dendrite-like memory bubbles started to stir, sending synaptic input to my frontal lobe. Or something. Realization: My memory bundle of Charlemagne / Magna Carta / St. Peter’s had morphed to the point that I thought I had stood on the spot where Charlemagne signed the Magna Carta! Au contraire, mon ami!! The spot whereupon I stood was where Charlemagne was crowned, Christmas Eve, in the year 800. Hence, another reason to mourn my memory. Then I started roaming around the Internet, curious as to how I could have confused two events that happened centuries apart. Aha!! 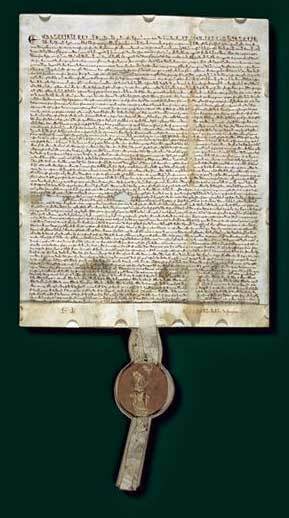 There were TWO Magna Cartas (great letters). Charlemagne’s was “for the people” and the other (let’s face it, also “for the people”) King John signed in 1215. Whew. I am grateful that we have the miraculous & magical Internet , but I still miss my memory. Some thoughts: memories are not static. They morph and bend and fade and weave themselves, sometimes into entirely new stories, leaving us convinced that we remember something Exactly. That. Way. I take LOTS of photos. I realized long ago that they help me remember events, people, places like nothing else can. Maybe that’s why I can’t imagine traveling with less than two cameras (and sometimes another one, just in case). I picked up a copy of the latest MORE magazine recently. I don’t usually buy magazines but while standing at the supermarket check out I noticed this one had an article entitled “The Memory Losers’ Club. Have I read it yet? No, I must remember to do that soon. What I always want to remember – have fun, appreciate what I have, take it easy.